Perhaps, a direct translation offers a bit of a linguistic paradox. Punished fish – or tortured fish, as some say – suggests that the fish had somehow been sinful. Yet what do fish do but swim around all day; or be eaten by predators or get caught in fishing nets on a bad day? In truth, the term ‘pinarusahang isdâ’ encapsulates the Filipino’s – and, in particular, the Batangueño’s – tongue-in-cheek sense of humour. It refers to leftover fish from the previous day’s meal that is drawn out from the refrigerator and fried for another meal. In a way, it is a manifestation of the aremuhunan culture – the culture that does not let anything go to waste. At any rate, the pinarusahang isdâ is frequently sinaing or pinais; i.e. boiled in salted water with vinegar and dried bilimbi – calamias – to taste, traditionally cooked in earthen pots called the palayok. Wrapping the fish in banana leaves is optional, albeit purists say that this adds flavour to the sinaing. For the sinaing, the tulingan or tuna is a local favourite; although just about any reasonably-sized fish may also be used. 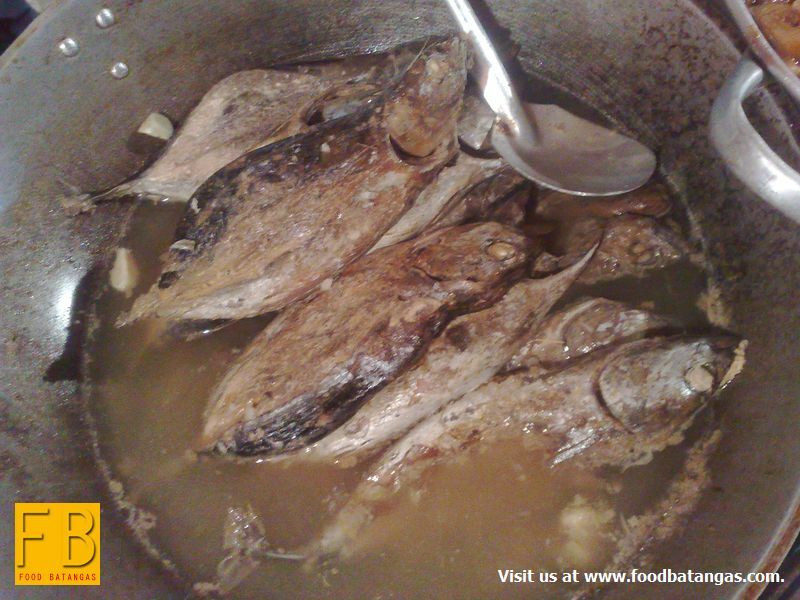 For the pinais, the tiny dulong – a local anchovy – comes to mind; although fingerlings of other species are also cooked this way. 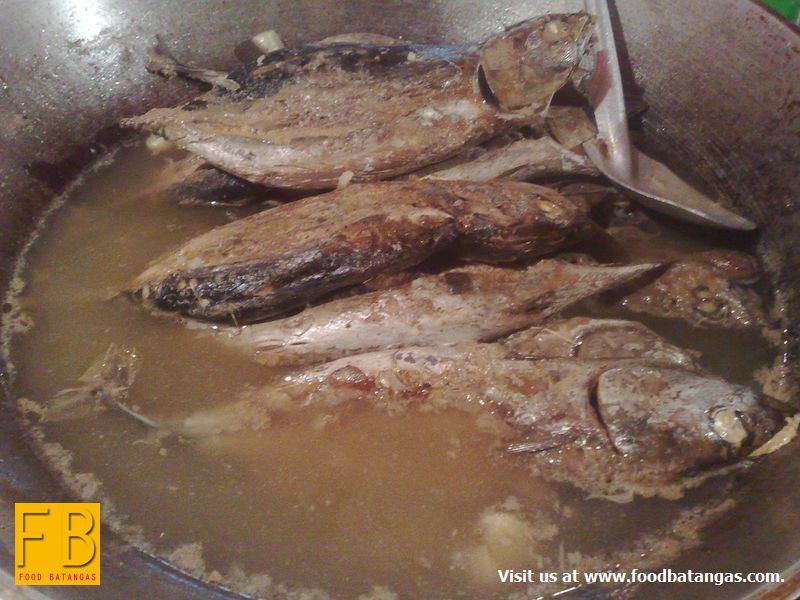 To complete the parusa – or punishment – the sinaing or pinais is fried often the next morning after spending the night in refrigeration. With sinangag – fried rice – and fried egg, it makes for a truly appetizing Filipino breakfast. For one reason or the other, frying just seems to enhance the flavours of the fish even more. There are those, however, who prefer the fish fried straight off the palayok and will have the pinarusahan just as readily for lunch or supper.